Awesome pattern haul at the local thrift store in North Hollywood. Grainy night photo of the sister visit I had with Catherine earlier this month. We went to Disneyland, and lo and behold, a feral Disney cat made a little appearance. Yeah! Celebrated the end of the word (12-21-12) with some friends, and this giant bird. Bummed out when I discovered that the Jules Verne books that used to be on the bottom shelf were shifted to a shelf four feet beyond my reach. No! 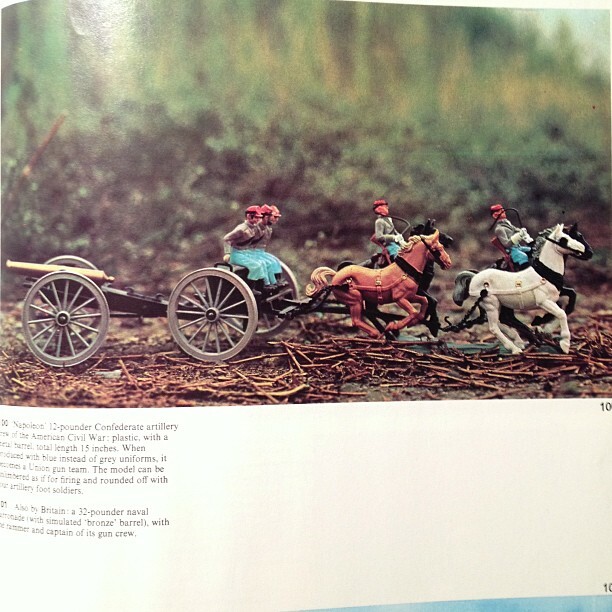 But it wasn't all bad news at the book store, I did find the Color Treasury of Model Soldiers.